A family of architects runs a greenhouse that supplies fresh figs to the local market. With current popular trends such as poke bowls and non-dairy milks, it is clear that people want to be fit and pack their meals with superfoods that are full of antioxidants, vitamins and fibre. Those who embrace a balanced lifestyle usually start their journey with vigorous exercise before moving on to plant-based meals. For architect Mohd Hilmi Yusoff, it was one fruit that really made an impact. “After reading about the benefits of the fig, I told my wife that I needed 20 fig plants so that I could have at least two figs a day. It started with four plants, which then grew to 20, and soon after that, 200,” he says. Hilmi, his wife Faridah Hasni Ramli and their three children are architects whose home in Shah Alam is decorated with lush greenery, complete with a greenhouse that provides various fruits such as avocado, lemons, kiwi and persimmon. “We bought the fig plants from all over the world, bringing the cuttings and the bare roots to Malaysia. 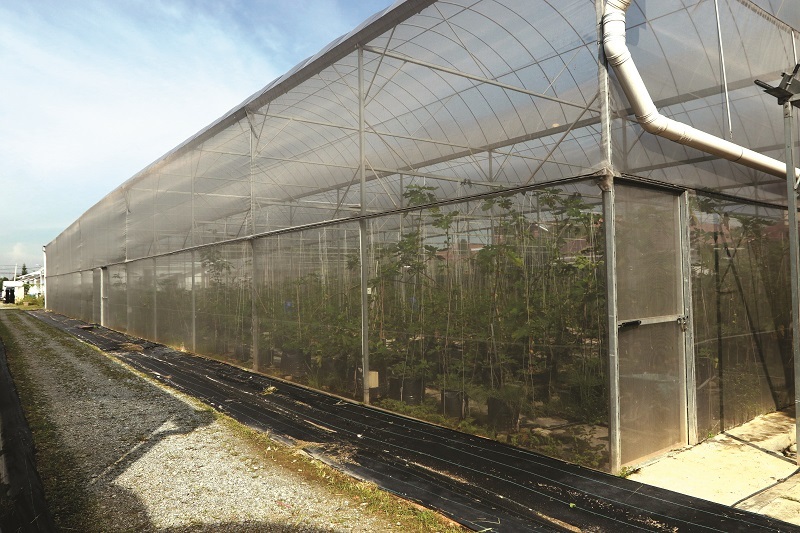 The various plants cost between RM150 to RM6,000,” he adds. Often used in ancient medicinal recipes, figs are high in potassium, iron, fibre, vitamins and antioxidants. Noting the growing demand for the fruit’s benefits, towards the end of 2015, Hilmi decided to start Mutiara Figs Garden to supply fresh figs to Malaysians. “I know that Malaysians do not know much about the fruit and [we] need to educate them … in Europe, this is a premium fruit,” says Hilmi. With countless varieties available, figs are native to the Middle East and Mediterranean countries. 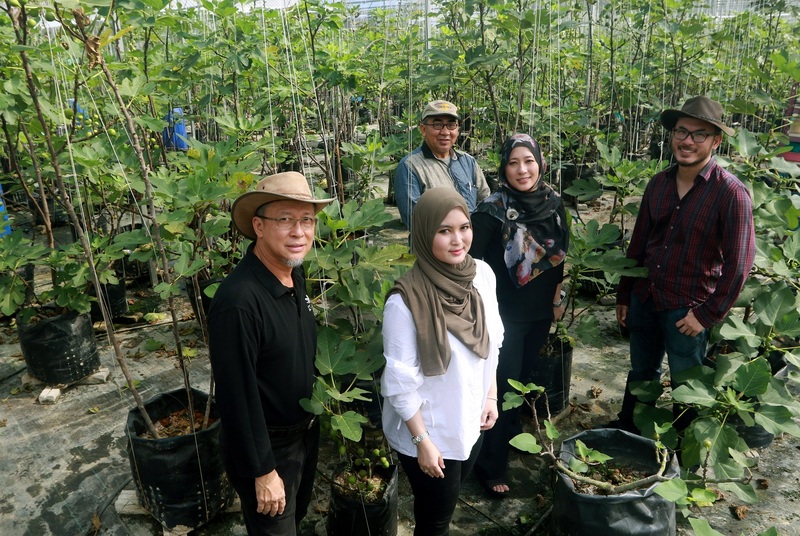 Even before the plants could bear fruit, Hilmi’s daughters Ilani Hana Masturah and Aliyaa Suraiya began experimenting with their leaves, creating a tea that is said to be able to reduce the sugar levels of diabetics. Hilmi explains that their fig tea is green rather than brown, like other brews that are on the market. While most people mix their fig leaves with tea leaves or dry their fig leaves in an oven — which Hilmi says often leads to a burnt product — Mutiara Figs dries its leaves in a dehydrator. “We wash the young leaves to remove impurities and dirt. Then we put them into the dehydrator,” he explains. Mutiara Figs’ product line does not stop there. 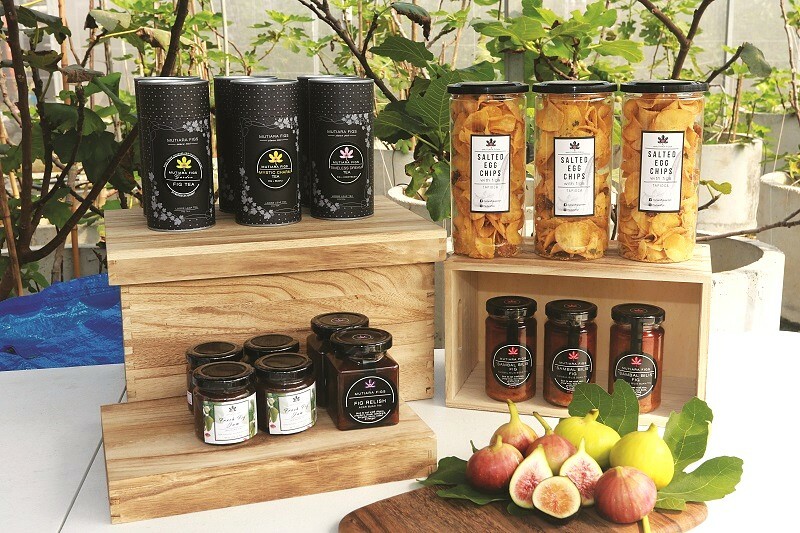 The sisters have developed fig jam, caramelised figs, fig relish and, for the Malaysian palate, sambal bilis fig. “We thought about what Malaysians love: sambal. So, we mixed figs with sambal bilis. 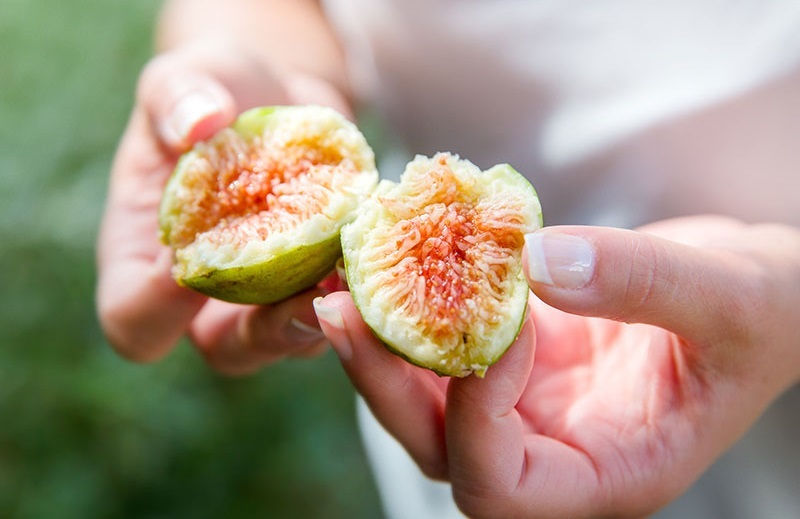 Instead of putting in sugar, we put in our figs — dry fig has its own sugar. We developed this without belacan or MSG,” explains Ilani. The sisters experiment with products at home but once the recipe is perfected, they are made at a factory. Working with soap specialists, they also came up with fig facial soap, body wash and body cream. “We did skincare because we know that figs have vitamins E and A, which are good for our skin,” says Aliyaa. All of Hilmi’s family have a hand in the business, including son Mohamed Fariz, but only Aliyaa works full time. She handles the making of the products, design of labels and brochures and the company’s social media presence. In 2017, they built larger greenhouses on two acres of land in Shah Alam. For our interview, we sat in one of the green-houses at a picnic table surrounded by countless fig trees growing in black polybags. Although wild fig trees can grow to 50ft, the plants here are maintained at 8ft so that they are easier to look after and harvest. 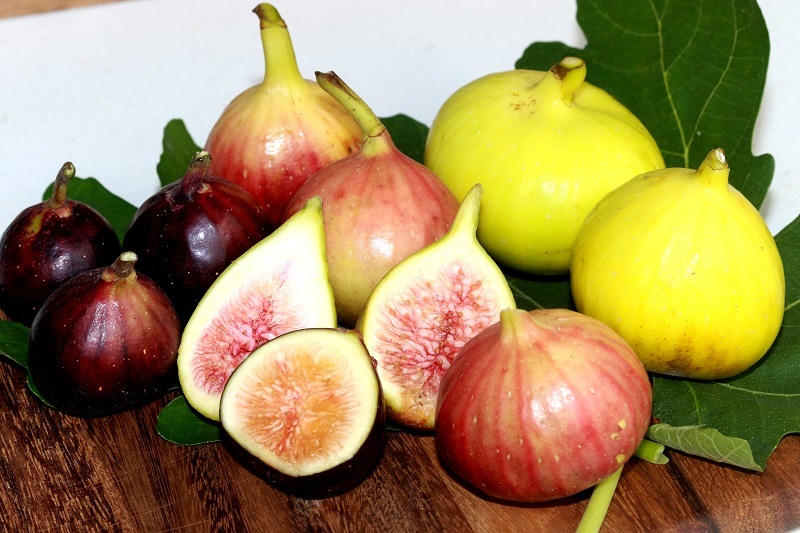 Each type of fig has a slightly different flavour and texture. The black is the sweetest, but there is also something lovely about the creamy and fatty texture of the red version. According to Hilmi, the longer figs tend to taste better than the round ones. Mutiara Figs’ produce can be purchased from places such as Village Grocer and Ben’s Independent Grocer while individual orders can be placed directly with the company as well. “For the supermarket, we pick the figs when they are 65% ripe. If you buy from the supermarket, it won’t be juicy or sweet. For the individual who wants to eat them immediately, we pick the 85%-ripe ones,” says Hilmi. Hotels such as Four Seasons also source fresh figs from him. Mutiara Figs still faces a few challenges. As fig plants are usually grown in the Mediterranean, they are more susceptible to fungus growth in our humid weather. In addition to the cost of losing a plant, there is the risk of the fungus spreading to other plants. The fig plant is also very delicate, thus the fruits are handpicked carefully. Locals only know about the red fig. “Malaysians love red figs and I don’t know why. Maybe it’s the attitude … We love the red colour and maybe we are very simple people, without going into the flavour and taste. We never cross the line, we want to be safe,” suggests Hilmi. The fig is one of the oldest trees in the world. Mentioned in many ancient texts such as the Bible and the Quran and referenced in countless other religions, the fig is an unusual fruit that offers many delicious possibilities. Mutiara Figs hopes to educate Malaysians on these qualities and eventually move on to distribute its products internationally. At its farm, the company wants to build an experiential centre to display products and, in time, hold educational events. “It’s about the health benefits. Mutiara Figs is going to be the leader in pushing figs for health — so that people understand you don’t eat this fruit just for the sweetness. The sweetness and taste is secondary, the primary thing is its health benefits,” says Hilmi.